Superman is trying to defeat a Godzilla-like monster that terrorizes the city. 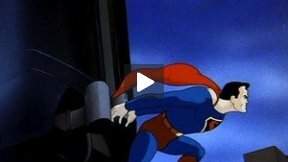 The Arctic Giant is the fourth of seventeen animated Technicolor short films based upon the DC Comics character of Superman, originally created by Jerry Siegel and Joe Shuster. It was originally released 26 February 1942.